Defense Edge combines a durable machined aluminum exterior and a soft rubber lining to protect the edges of your Apple Watch from scratches and impacts. An easy snap on design allows for quick installation. 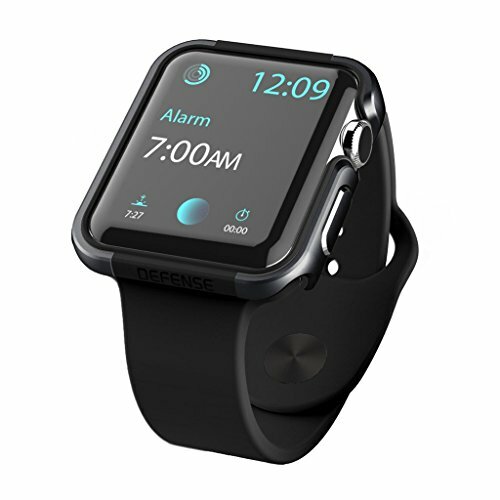 Defense Edge is compatible with all 42 mm Apple Watch collections and wristbands. ¥ Premium machined anodized aluminum exterior ¥ Soft rubber lining; Metal does not touch your Apple Watch ¥ Works with all 42 mm Apple Watch collections and wristbands ¥ Protects the edges of Apple Watch from scratches X-Doria Warranty covers defects both in materials and workmanship that result in failure during normal usage. Our warranty is valid when purchased from an authorized reseller and to the original purchaser of the product. The warranty period starts from the original date of purchase. If you have any questions about this product by X-Doria, contact us by completing and submitting the form below. If you are looking for a specif part number, please include it with your message.